What's The Score At Half Time? One of the most unimportant statistics in a football match is the score at half time. In the 2001/02 season, Tottenham were 3-0 up at half-time in this classic FA Cup clash against Manchester United, thanks to goals from Dean Richards, Les Ferdinand, and Christian Ziege. 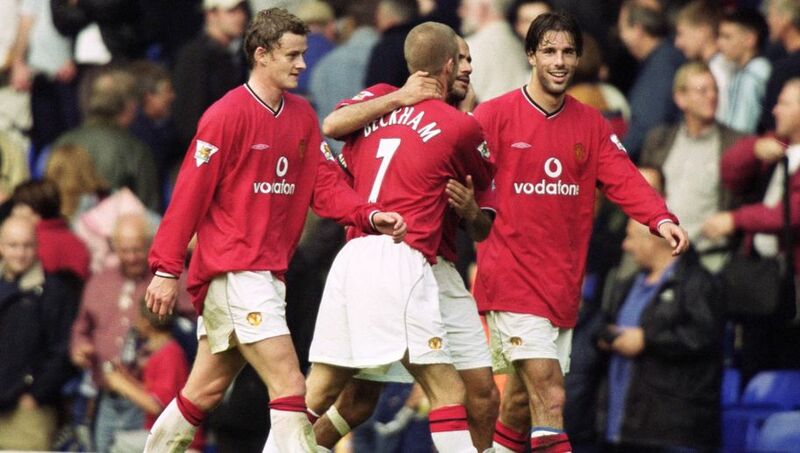 Whatever Sir Alex Ferguson said at half time worked wonders as goals from Andy Cole, Laurent Blanc, Ruud van Nistelrooy, Juan Sebastian Veron and David Beckham sealed a dramatic comeback for the Red Devils. A couple of hours ago, the half time whistle for this year sounded on all of us! The referee has called for a time out, and it provides a wonderful opportunity to review the strategies of the first half, and decide if we will still continue with it, or make some changes. Every new day, new month, or New Year, provides us with an opportunity to start again, but more intelligently. Today presents such wonderful opportunity. It is a great opportunity to look back at the last 6 months and evaluate how far, or how not far, we have gone. I encourage you to take time out in the next few days to do a thorough evaluation of the last 6 months. I can predict to you what will happen at the end of the year if nothing changes now. You will get exactly the same results that you have got in the last 6 months! Remember the definition of insanity. It is “doing the same thing in the same way, and expecting a different result”. My question to you as you read this is – do you like the results coming your way in the last 6 months? Are you satisfied with the level of success you have enjoyed in the 1st half of the year? If your answer is NO, then, something needs to change in the 2nd half. Once this happens, the result at half time will be immaterial.